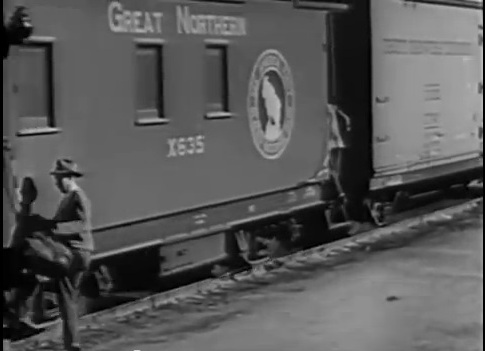 I found out about this Great Northern Railway safety film only recently…thus it is a prime example of an “obscure train movie” for me. And it features my favorite railroad, to boot. Onto my blog it goes! 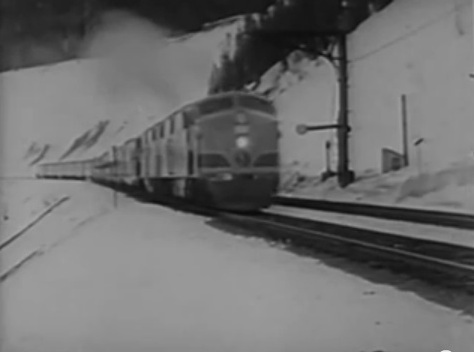 I’m dating this movie as 1947 because there are many views of their brand new (in February 1947), streamlined Empire Builder pulled by E7 locomotives. 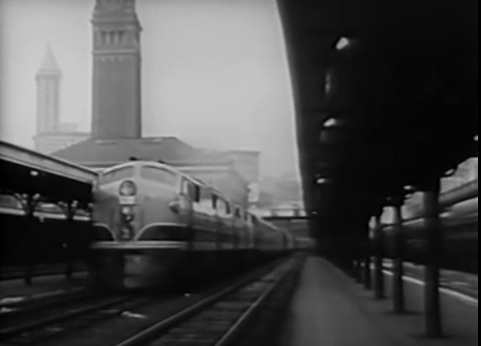 The 1947 edition of the streamlined Empire Builder arrives at King Street Station in Seattle. The picture opens with some nice train scenes around the GN system. GN Z-1 class electrics bring an eastbound train into Wenatchee; Train 22 leaves the Twin Cities with a four unit set of EMD FT’s. 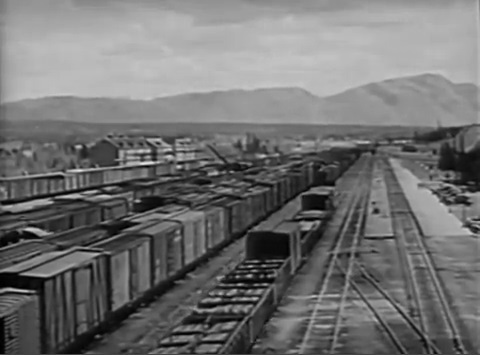 View of Whitefish yard looking east with icing facilities in the background. 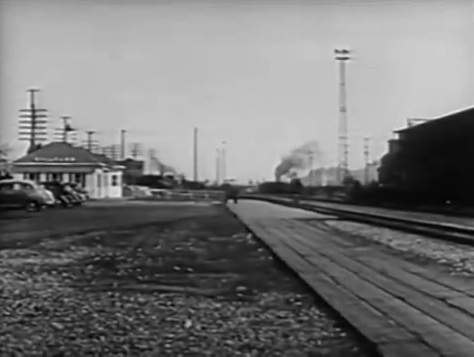 Hillyard passenger depot, north of Spokane. 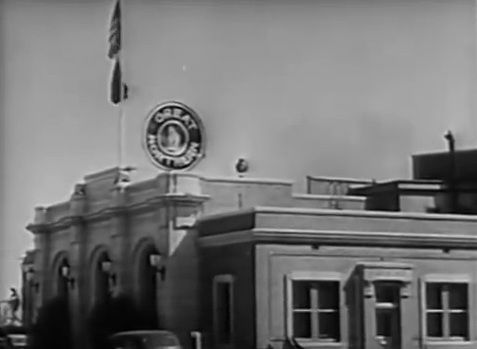 GN’s Klamath Falls depot with huge, forward-facing goat logo on the roof. Ironically, GN carried no passengers on this line. 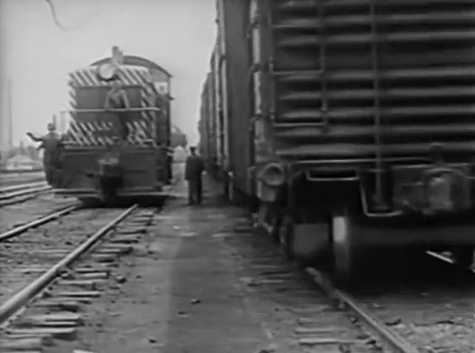 The balance of the film is showing scenes of the wrong way and then the right (safe) way to do things around railroad equipment. 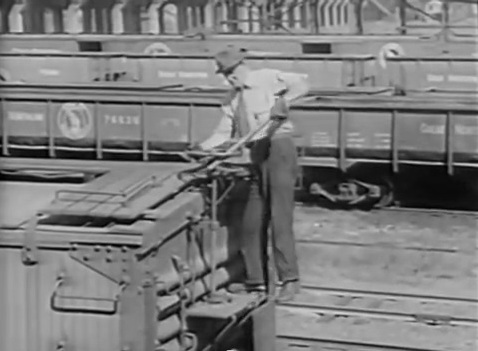 It is a wonderful snapshot of railroad operations at the time. 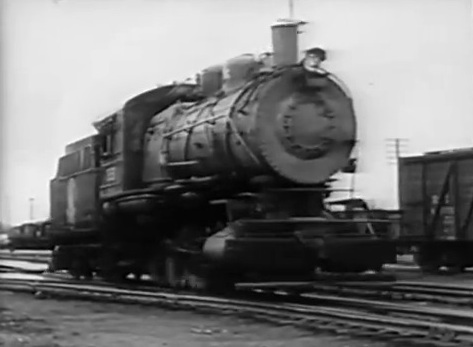 GN C-3 class 0-8-0 #881 switcher backs past the camera; Switchman leaps out of the way of equipment rolling up behind him. GN EMD NW2 switcher #5329 sneaks up on unsuspecting switchman; Another NW2 stands by while a switching move is made nearby. 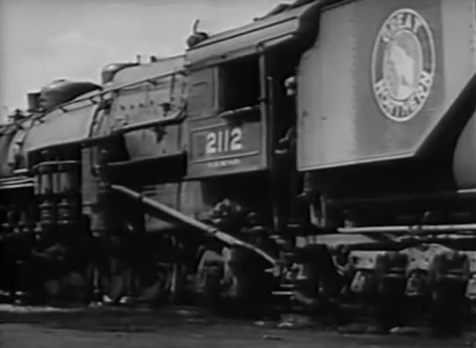 Check those stripes on both engines. 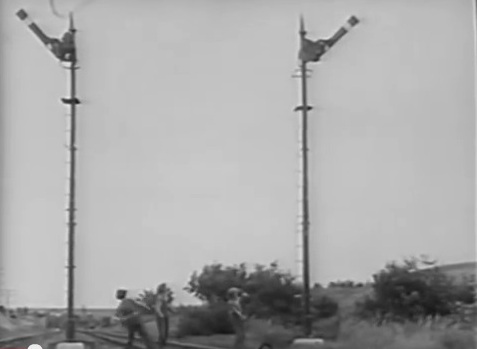 Bad boys (trespassers) throwing rocks at semaphore signals; Operating a switch stand the safe way. 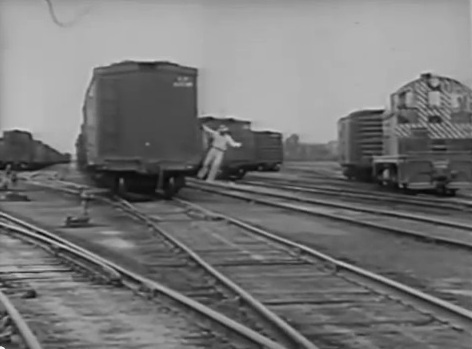 Engineer prepares to dismount from GN Q-1 class 2-10-2 #2112; Rear brakeman and conductor board moving caboose x635 with their grips. 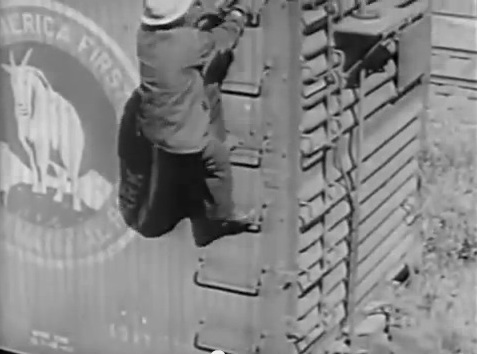 Brakeman climbs boxcar to get at brake wheel – notice fine See America First logo to the left; Brakeman setting car brake using a “brake club”. 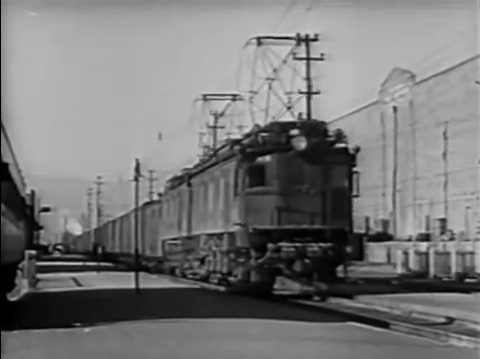 Many GN freight cars in the background. 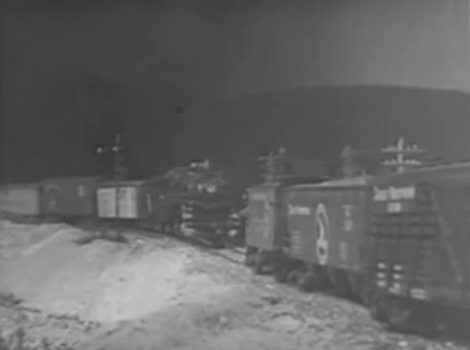 Towards the end of the safety film, there’s an interesting shot of the Empire Builder in the snow running on what appears to be gauntlet track which I believe to be near Nimrod, MT (now Java). 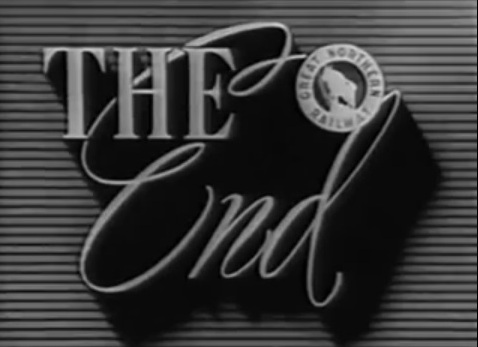 However, my 1950 Kalispell Division timetable shows this stretch as double track. See for yourself in the pictures. 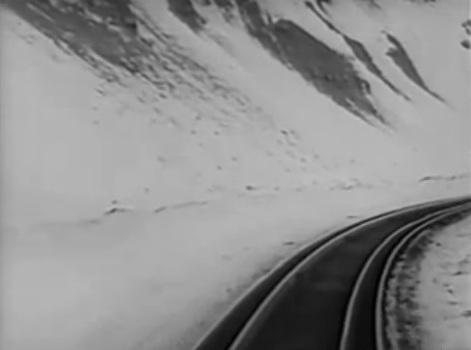 Travelling along what appears to be gauntlet track; The Empire Builder comes off the gauntlet track. 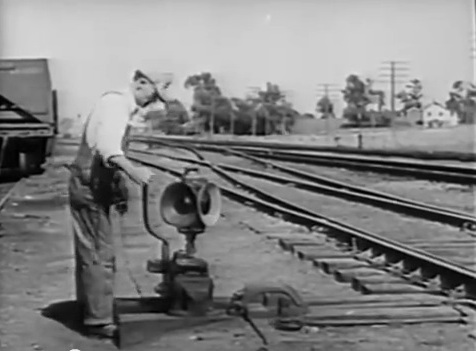 Notice the smashboard on the signal to the right. 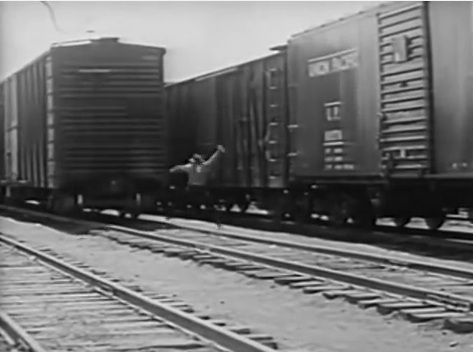 This safety film places special emphasis on Rule 99 (flag protection for trains stopping on mainline). 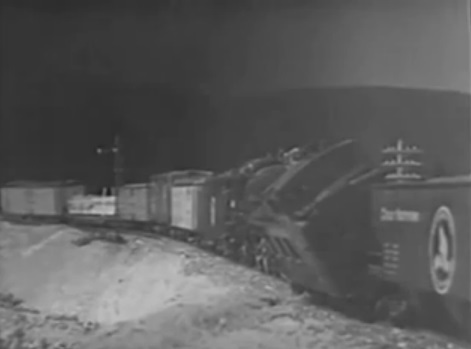 This is no doubt due to the terrible 1945 accident at Michigan, ND, when the following section of the westbound Empire Builder collided with its first section — partially due to insufficient flag protection. 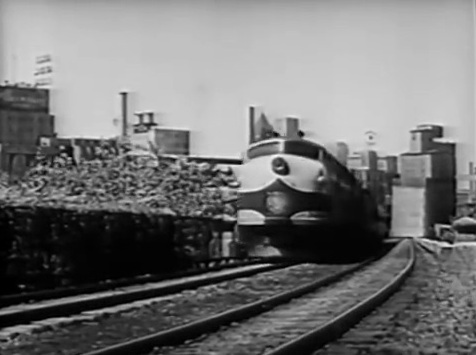 For this film, the GN even rigged up a very detailed-looking model layout to demonstrate the dangers of not following Rule 93 (reducing speed at approach signal or in yard limits). Uh-oh. The model engineer on this freight is about to run a stop signal and plow into the back of another freight. Not good. Call out the big hook! 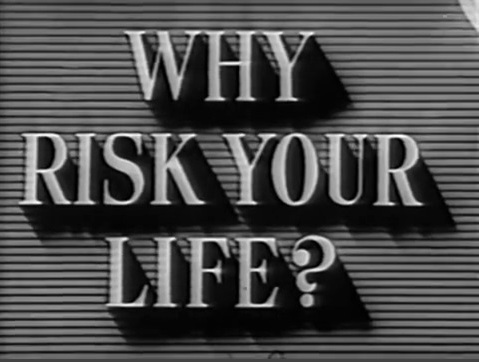 This entry was posted in Uncategorized and tagged Empire Builder, Great Northern Railway, Railroad Safety Film, Why Risk Your Life?. Bookmark the permalink.